A month ago, my commute changed from a 6-mile commute one-way to a three-mile commute one-way. It also changed from an office with a shower to an office without a shower… so my approach to my commute definitely had to change! 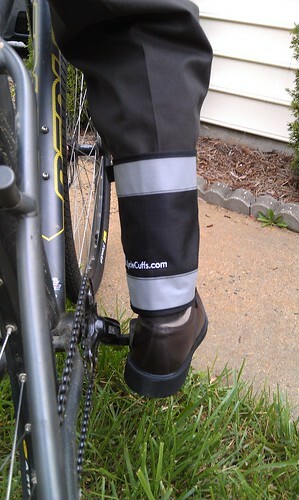 Previously, I’d taken the approach of riding as hard as I wanted in more bike-y clothes, then showering and changing. 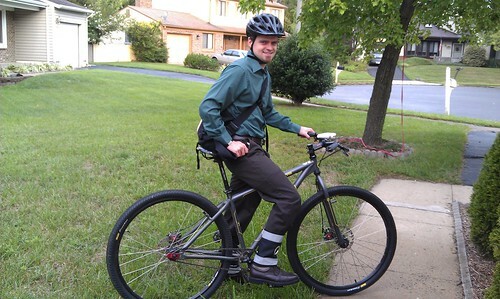 With no shower available – but a much shorter commute – I decided to take advantage of our lowering morning temperatures (mostly below 70 now) to try riding to work in my work clothes and going slower. This also gave me the ability to put three products we’ve received to a better test. 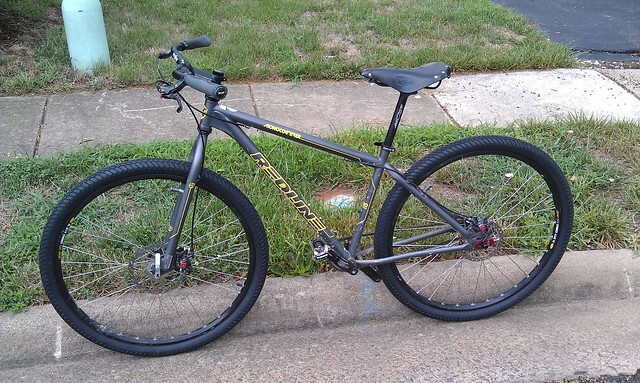 My “new” commuting rig is my Redline Monocog 29’er single speed mountain bike… with a couple modifications. I’ve kept the gear ratio the same (33×16) – it’s low, but it means I can’t ride too fast and therefore can’t get too sweaty! Look for reviews of all three of these shortly! BikeCommuters.com recently took delivery of the 2008 Kona Smoke 2-9. 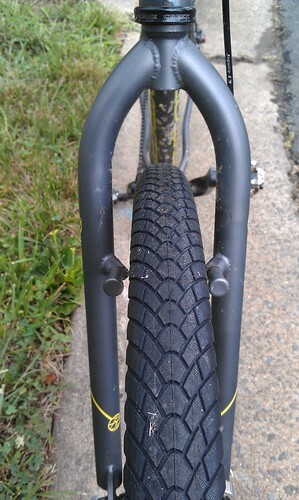 Moe’s first commuter bike was the Kona Smoke (26), and he loved it! So while we were walking around Interbike 2007, Moe was actually pretty shocked that they came out with a 29er version of his favorite commuter. So after working things out with the wonderful folks of Kona, we have one to test and report to our readers. Check out those super cool fat pedals. The Smoke 2-9 is the elevated brethren of our ever popular Smoke. This is the one bike that everyone should have hanging in their apartment or wedged in their garage. This year we’ve taken the Smoke and added a taller wheel to make it go faster. Push the pedals harder to also make it go faster. Priscilla absolutely LOVES the “New Bike Smell”…its a combination or Chinese Food, Rubber, Grease and Metal…mmm. 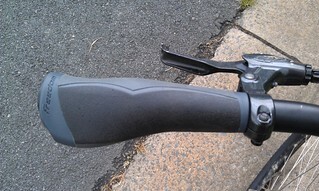 So stick around as we run the Kona Smoke 2-9 through the paces and report a full review.